Mycoid Shepherd ($0.20) Price History from major stores - Alara Reborn - MTGPrice.com Values for Ebay, Amazon and hobby stores! 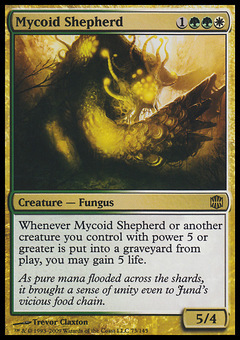 Card Text: Whenever Mycoid Shepherd or another creature you control with power 5 or greater is put into a graveyard from the battlefield, you may gain 5 life. 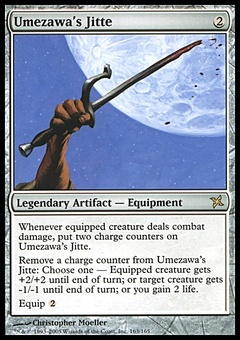 Flavor Text: As pure mana flooded across the shards, it brought a sense of unity even to Jund's vicious food chain.